And a beautiful brain image is worth even more.1 An ugly topographical map of brain electrical activity just won't do. Read Cognitive Daily on What's more convincing than talking about brains? Pictures of brains! 1 Metaphorically speaking, that is... The duped participants in the research study read fictitious articles that were actually only ~300 words long. McCabe DP, Castel AD. (2008). Seeing is believing: The effect of brain images on judgments of scientific reasoning. Cognition 107: 343-352. Brain images are believed to have a particularly persuasive influence on the public perception of research on cognition. Three experiments are reported showing that presenting brain images with articles summarizing cognitive neuroscience research resulted in higher ratings of scientific reasoning for arguments made in those articles, as compared to articles accompanied by bar graphs, a topographical map of brain activation, or no image. These data lend support to the notion that part of the fascination, and the credibility, of brain imaging research lies in the persuasive power of the actual brain images themselves. We argue that brain images are influential because they provide a physical basis for abstract cognitive processes, appealing to people’s affinity for reductionistic explanations of cognitive phenomena. Who are the Beauty Brains? 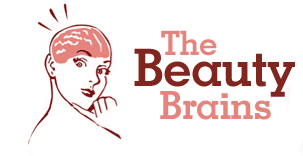 The Beauty Brains are a group of cosmetic scientists who understand what the chemicals used in cosmetics really do, how products are tested, and what all the advertising means. Your link is broken — I think this is the correct one.